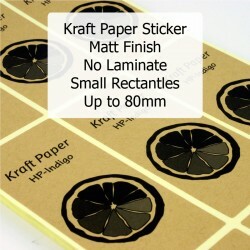 Our kraft paper stickers serve a broad range of uses, including mailing labels, product labeling, retro labelling and other general purpose stickers. 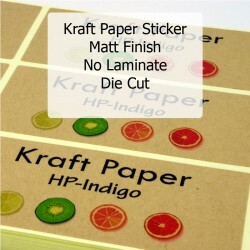 Kraft paper is a recycled uncoated paper giving a very earthy look to your labels. Perfect for farmers market labels. Paper stickers are suitable for indoor use. 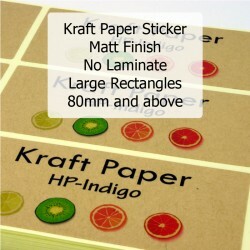 Kraft uncoated paper is suitable for writing onto.